We all (except a handful of fanatics) agree that evolution happens. What is not fully clear are the details of how it happens. These days two new researches challenge some conceptualizations and support others instead. Evolution is not constant but punctual. That is what Stephen A. Smith (left) and colleagues have discovered when analyzing the phylogeny of angiosperms (flowering plants). They found that the conceptualization of evolution as punctuated rather than constant seems to be correct, and also that the characteristics of a new taxon evolve in a single population or root species before diversification (radiation) occurs. The research has been published in the American Journal of Botany (open access) and a synthesis appears at Science Daily. Perfectly fit? Maybe not needed. A simplistic school promotes the idea that given enough evolutionary time in a simple ecological niche only one competitor will survive: the fittest one. The fit use food well but they aren’t resilient to mutations, whereas the less efficient, unfit consumers are maintained by their resilience to mutation. If there’s a low mutation rate, survival of the fittest rules, but if not, lots of diversity can be maintained. 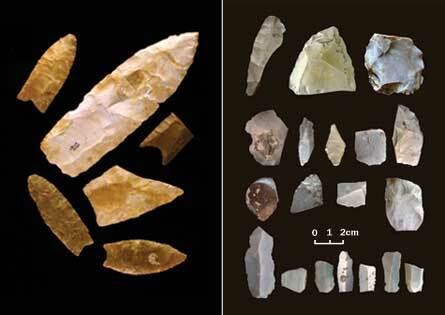 Several news sites have announced today what is arguably the first consolidate archaeological evidence of human population of North America before the emblematic Clovis culture: the Buttermilk Creek culture of Texas, dated to c. 15,500 to 13,200 years ago. This site adds to others more or less accepted ones from North and South America, clearly establishing that the colonization of the double continent happened at least several millennia before the emblematic Clovis culture, which is dated around 13,500 and 13,000 years ago. Roy J. King et al., The coming of the Greeks to Provence and Corsica: Y-chromosome models of archaic Greek colonization of the western Mediterranean. BMC Evolutionary Biology, 2011. Open access. Using putative Neolithic Anatolian lineages: J2a-dys445=6, G2a-M406 and J2a1b1-M92 the data predict a 0% Neolithic contribution to Provence from Anatolia. There is absolutely no reason to be looking at Anatolia: the Neolithic wave that arrived to Provence did not originate in Anatolia but in the Western Balcans. It is very possible that Anatolia was the ultimate origin of Greek Neolithic and this was in turn at the origin of Cardium Pottery Neolithic somehow, but the real origin of the Neolithic wave that arrived to Provence must not be looked for in any case in Western Anatolia – that is a total nonsense. We know way too little as of yet to explain the exact process of cultural transference from West Asia (Anatolia specially) to the Balcans (Thessaly in particular) and from Thessaly to the Adriatic, where the cultural elements are so distinct anyhow. There is no particular reason to expect any arrival directly from Anatolia into Italy or SW Europe in the Neolithic. Any such migration would have been dampened in two filters: one in Greece and another one in the Adriatic Balcans. Here you can see in brown the first area of Cardium Pottery Neolithic: Dalmatia, Montenegro, Coastal Albania, most of Bosnia, Italy (in a second moment)… It has a precedent in Otzaki (Thessaly) and a derived influence in Biblos (Lebanon) but by no means can it be linked to “West Anatolia” of all possible places. Universities and grants should require that any geneticist doing historical population genetics hire a prehistorian for assessment, sincerely. Up 26 to 30% (depending on how you evaluate I2*) of the genetic pool is “Eastern Mediterranean” in Provence. E1b1b1b1a2 (V13) is probably from Albania or other Adriatic areas (see Battaglia 2009). That can also be argued to be the case for all the other “transmediterranean” lineages, which agrees well with a Neolithic origin of all them. 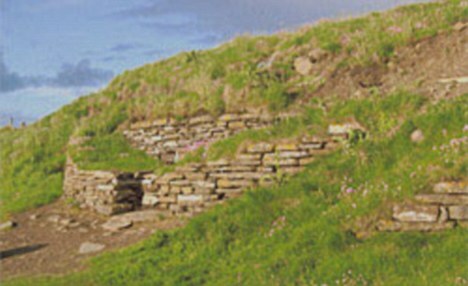 However it is not impossible that these Neolithic arrived in batches and with intermediate stops in Italy for example or, why not, in Phocaea in some cases. But the research falls very short from demonstrating what they claim to demonstrate. If they have demonstrated something at all they have failed to explain it properly. So the only interest of this paper is the raw data, which adds to other such data to be integrated into a careful and comprehensive exploration of all (and not just some) data with proper prehistoric assessment. 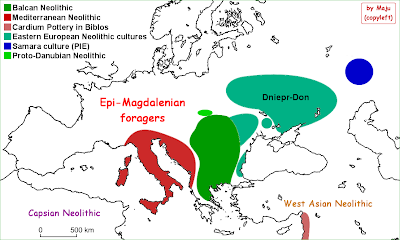 It is in any case important to understand that under the Neolithic colonization hypothesis, E1b1b1a2 should not be expected to originate neither in Anatolia nor in Greece but in Albania, Montenegro and Dalmatia. And, if anything, in Greece rather than Anatolia. Attributing European Neolithic directly to Anatolia or West Asia in general is not an acceptable assumption but a wacko fetish that should be discarded altogether.